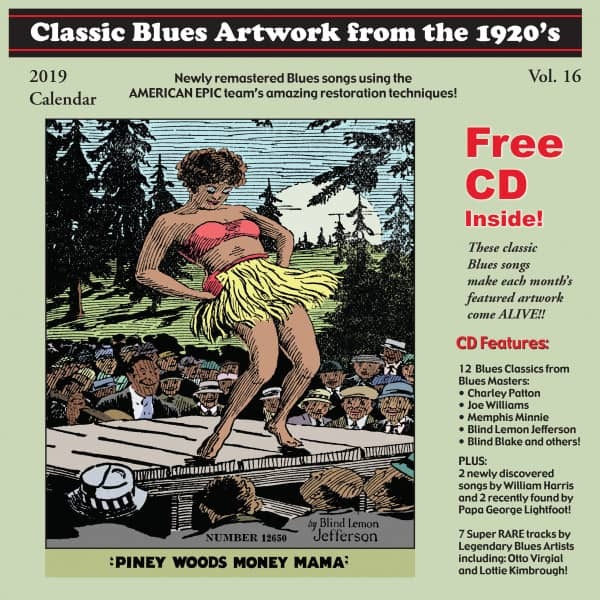 The2019 'Classic Blues Artwork from the 1920's' Calendar with free CD has broad appeal to anyone interested in Blues music or history. 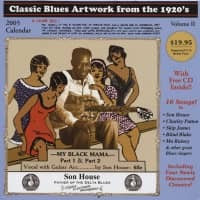 Within its pages is a huge treasure trove of original Blues artwork from the earliest days of recorded Blues history. 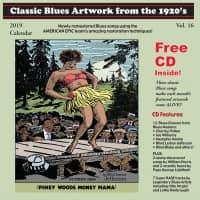 In addition, each calendar contains a free CD that cleverly matches up each month's artwork with the original recording it advertises. These songs make the calendar come alive! 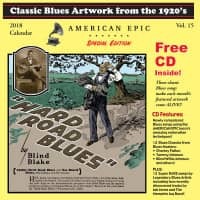 This year's CD has a total of 23 tracks: 12 Blues classics from Blues masters Charley Patton, Blind Lemon Jefferson, Blind Blake, Memphis Minnie and others, super rare songs by legendary Blues artists including two recently discovered never-before-heard songs by Mississippi Blues master William Harris and two by Post War Blues giant Papa George Lightfoot. The songs are newly remastered using the American Epic sound team's amazing restoration techniques! 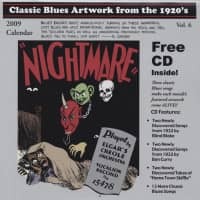 Developed at great expense for the soundtrack of the PBS series, there is less surface noise and more dynamic range than in any previous release of these tracks. You will be excited when you feel as if you are right in the room with the performers as they play and sing their hearts out!